With a series of shows lined up in support of heads likes Excision, Getter, Habstrakt, and BROHUG as part of the Australian Touch Bass tour, get to know the name Godlands as she continues her meteoric rise to the top. 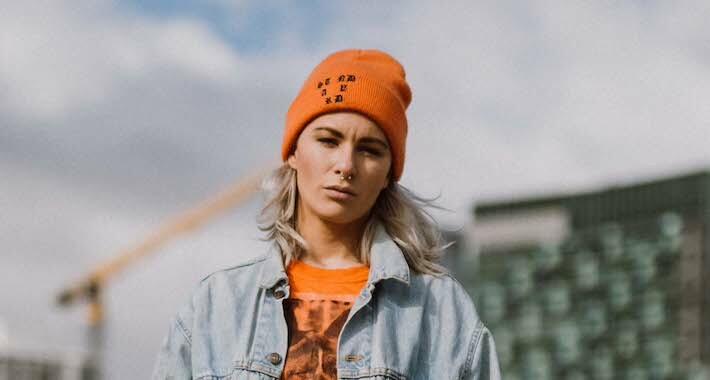 Hailing from Australia herself, the down under bass queen prepares to go global as she picks up where her last single, “Hit Em Like This,” left off and comes correct with a minimalist trap burner for the dancefloor. Setting the stage with an eerie intro, the dark and heavy atmospheres lay the foundation for a stuttering groove that winds up the energy before launching us into the heart of “Everybody Knows” proper. While the tune hits hard and unleashes the dancefloor growl in all the right places, there’s a certain restrained aggression that elevates the pulse in a unique way. This one drops today as a free download so check the beats below and lock in your own copy here.